Seeing this dress at Dolce & Gabbana autumn/winter 2014 couture show. it reminds me off the amazing ceramic-tiled steps in Caltagirone, Sicily. Proving that Domenico Dolce and Stefano Gabbana are still inspired by the landscapes of Sicily in Italy and not only promoting their designs but also their roots. All the collection sensed Italy. 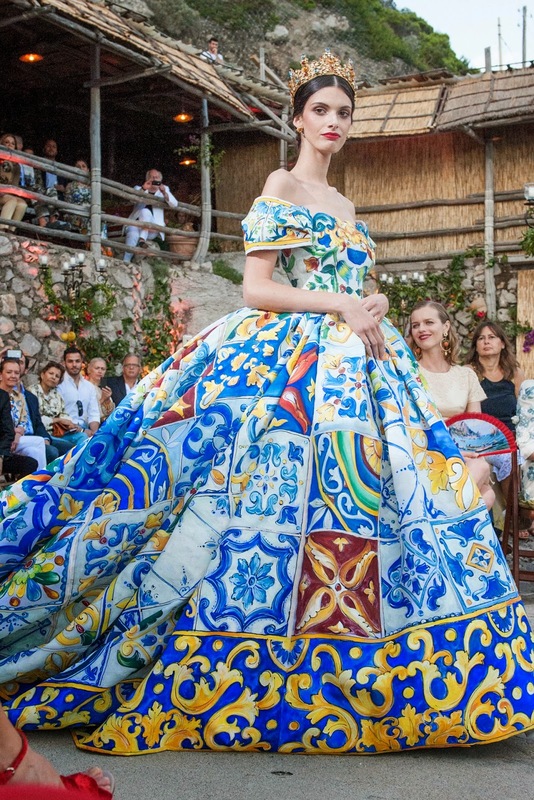 Dolce & Gabbana presented their first Alta Moda show in Taormina, Sicily, Italy on the 9th of July.